Since When Is A “B” Not Enough? And not just a “B” but an 88.5. For a 10 year old. Don’t get me wrong. I love this college-prep elementary school. I’m glad they have high standards. I’m glad they’re pushing my son to reach his full potential. Or, more specifically, since when is a “B” not enough? My son is bright. And imaginative. And active. (You can see where this is going, can ‘t you?) Some teachers love his exuberance, his joie de vivre. And he thrives in their classrooms. Other teachers? Not so much. They just don’t get him. Not to be redundant but, did I tell you he is bright? This isn’t just a delusional mom. I have perfect standardized test scores to back me up. As a result, he gets bored. Easily. But emotionally, he is right there with his peers. So, in the 5th grade, he stays. I’ve put my foot down and no one will convince me otherwise. I scan the grade sheet. The detailed rubric of his progress in this one class. Writing Class. A 93. An 88. Another 88. And an 85. For an average of 88.5. I don’t want my kid to be lazy. I want him to always give 110%. But he hates (gasp) to write. He doesn’t like to write fiction. He doesn’t like to write non-fiction. He won’t even like to write his own autobiography. Apparently, I didn’t pass down the writing gene to him. And that’s okay with me. Because…. He loves math. And science. And engineering. And taking things apart. And putting them back together. And Greek mythology. And history. And reading. He loves, loves, loves to read. So, the writing will come. Someday. For right now, an 88.5 in his least favorite class, and his lowest grade in all subjects, is fine with me. In fact, a high B in a class he doesn’t enjoy is pretty impressive in my book. 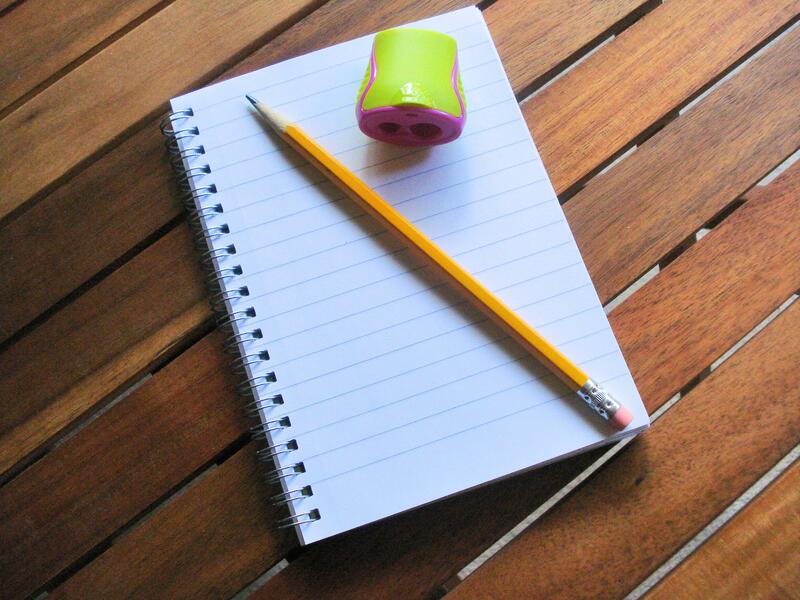 And because he is bright, I know he will glean from writing class what he needs and apply it when he needs to apply it. C’mon. He has an 88 in writing mechanics. At age 10. We, the parents of the children you teach, would like to be parents. And real estate agents. And contractors. And doctors and lawyers. Or advertising reps. Or designers. Or ditch diggers. We did not sign up to be teachers. Oh sure. We signed up to teach our children manners and respect. We teach them our religious beliefs and all about the birds and the bees. We teach them how to make their bed and throw a baseball. All of the above and more fall into our job description as a parent. It is not, however, listed anywhere in our job description that we must spend our family time with our child continuing the job you started at school. And for the kicker that prompted my letter to you today, we did not and I repeat, we did not sign up to type any more papers. We have been there, done that. But when my dear son, my sweet, responsible, hard working, non-procrastinating son is practically in tears at the keyboard because it has taken him forever (and by “forever” in a 9-year-old’s perspective I mean “an hour”) to type a tiny portion of his story and I am tempted to jump in there and do it for him? I paused. I shouldn’t have to type his papers for him. And he shouldn’t, at 9 years old, be expected to type his own papers if he hasn’t yet received the proper keyboarding instruction to do so, with plenty of practice so that he can proficiently type his own papers at a reasonable speed. He is nine. He is a responsible, conscientious student. He starts assignments when you assign them and works diligently until he gets it done. He is bright and doesn’t need busy work. What my child needs, what any child needs, is time to play outside. Time to make brownies with their mom, learning (by accident) about fractions and degrees Fahrenheit. They need to be encouraged to read on their own but they should be allowed the free time to be read aloud to by their parent. When we’re working 2 hours after dinner on homework, there is little time left for Harry Potter before bed. Don’t get me wrong. I applaud your efforts in the classroom. I demand that my children respect you and your rules. They are expected to give 110% to their schoolwork. And I don’t mind running a few multiplication drills before dinner or quizzing him on his spelling words. What I don’t understand is the assignment after assignment after assignment my 9-year-old child is expected to complete that he has neither the ability nor the life experiences to complete on his own. Homework should be an extension of classroom material. Yes. But it should be, always and forever, commensurate with the maturity and the abilities of the child to which it is assigned. 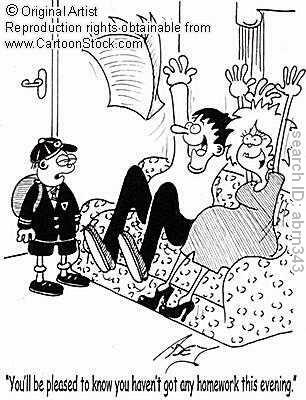 If the parents are doing the homework, the child is getting the impression that he or she is inadequate. My son lamented, “Why can’t I type fast like you?” Uh. Because I had a typing class, for a full semester and I’ve been typing for years and years and have had plenty of practice. Assign my child age and skill level appropriate homework. Work that my child is capable of completing on his own, with little parental intervention. Homework that reinforces what you’re teaching in the classroom, giving him additional practice. Work that allows him to explore and create. Bolstering his confidence when he finishes it all by himself. Allowing him to experience pride in his work, not someone else’s. Known for his tirade defending the teaching profession, Taylor Mali is my new favorite hero. I love the Youtube video that has gone viral. I love him more when I read his comment about how his What Teacher’s Make poem has been copied and sent and referred to over and over that it is now known, in some circles, to be written by anonymous. January 28th marks a day when I can remember exactly where I was in 1986. I was a college student, studying to be a teacher. I was at my apartment, between classes, warming up leftovers for lunch. I was standing in front of the television with a bowl and fork in my hand. I was watching history. Today’s historic event had special meaning for me. 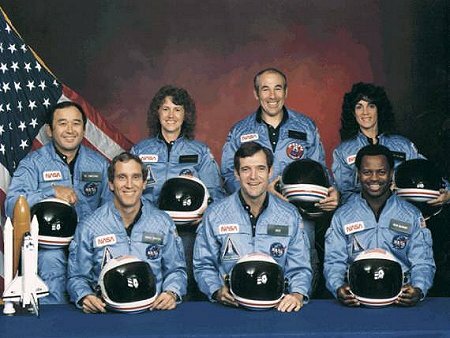 I was studying to be a teacher and a teacher, Christa McAuliffe, the first ever ordinary citizen, would accompany astronauts into space. I also knew one of the finalists. My former government and American History teacher had vied for her very spot. My parents sent me newspaper clippings of his interviews. It was big news in our hometown. I was in awe of Christa McAuliffe. I knew she was doing something I would never be brave enough to do. Scary. Reckless. Inspiring. Whatever you want to call it, I am grateful for the people who are not as chicken as I am. People who dare to explore and expand horizons and conquer the unknown. I remember leaving church in the middle of mass when I was a young girl. My mother was crying and my father ushered us out quickly. Later, my mom explained that she was very upset about how the priest was criticizing the US government spending on the space program. It was a popular hot topic in the press. We’d already been to the moon. What was the point with continuing? But it was new technology in the space program and discoveries in space that trickled down to the medical community. My mom’s father, my grandfather, had a rare nervous disorder. When my mother was a teenager, doctors gave my grandfather only months to live. He defied the odds thanks to modern medical technology. Science from the space program, developed for astronauts, had kept my grandfather alive so that his granddaughter was able to meet him, know him and develop a relationship with him. He, with the combined help of space technology and modern medicine, lived 21 years past his 6 month death sentence. Today, I will be taking a moment of silence to honor those braver than I. To honor the pioneers, the explorers, the inventors. To honor those willing to take great risks so that others may gain greater understanding and knowledge. To honor history teachers making history. One of my mentors, a man I never met, died last month. I wrote about him on my blog. It got me thinking about all of the wonderful teachers I’ve had in my lifetime. My thoughts immediately turned to you. You were my fourth grade teacher. I had just moved to the area. I was shy. I was awkward. You made me feel like I belonged. As if I had been going to that school since kindergarten. You made me want to be a teacher. Just like you. I remember afternoons, sitting cross-legged on the floor, listening to “A Wrinkle In Time” and “From The Mixed Up Files Of Mrs. Basil E. Frankweiler.” I remember math games and warm hugs. Oh, the hugs. I wanted to escape into your arms every single day. I imagined your home smelled of ginger snaps and fresh laundry. I pictured books stacked high on tabletops and a garden in the back with ripe tomatoes. A cat lazily sunning on the porch. Two lemonade glasses, one for you and one for me. I imagined going home with you – instead of my empty home. Someone to be there for me when I was scared. Someone to cook me dinner, instead of having to fend for ourselves. A place where kindness was typical and harsh words were few. When I talked, you would listen with interest. You encouraged me to dream, to hope, to reach. In y0ur classroom, the possibilities were endless. I never felt criticized or helpless. Remembering now, as an adult, I picture your classroom and it was bright, sunny, full of light. I picture my childhood house and see darkness, stillness and fear. No wonder I raced to school each day, earlier than anyone else – always the first one in line at the door. My teeth were a mess and I desperately needed braces. You made me feel beautiful. My home provided shelter. You provided warmth. My parents were always too busy to listen to me. You dropped everything each time I opened my mouth. Discipline at home was unpredictable and harsh. You counseled us with care and concern. I miss you, Mrs. Wood. I miss that very important year in my life. A pivotal moment in my lifetime. A time I remember, oh so well. It was the year I decided to become a teacher. Jaime Escalante – Passionate. Brilliant. Hero. A few weeks ago, a hero died. He was my hero. I first learned about him in college. I was finishing up my teaching degree and I had an amazing math professor. Her teaching style was energetic, positive and fun. She taught us about Jaime Escalante and the work he was doing at Garfield High School in California. When the movie about his work with students in L.A. “Stand and Deliver” was released, a bunch of us went to see it. I was mesmerized. His energy. His stamina. His drive. His passion. He was an amazing teacher. He was the teacher I wanted to be. I was never a strong math student. I struggled to understand and keep up. But in high school, with an amazing Algebra I teacher, something clicked. I was catching on. It wasn’t as hard as I’d thought. But I was a girl. And girls don’t do math. And boys don’t like smart girls. So I played dumb. I fostered the belief in myself that I still wasn’t very good with numbers. My path was English, not math. During my senior year of high school, I had already received early acceptance to a major university. So, like any other senior in the same position, I slacked off. I coasted. I even dropped out of Trig because, hey – I was going to teach English. Who needs higher math? When I took my university placement exams I had tested out of freshman mathematics. I shook my head in disbelief and asked them to check again, because I wasn’t very good at math. My advisor assured me that the scores were correct. Had I considered a career in mathematics? I laughed. Of course not. But unable to stay away, I took a few math courses. And a few more. Pretty soon I was able to have a double major in both math and English. Might come in handy someday, I thought. I always felt I was a better Math Teacher than English Teacher. English came too easily for me. How in the world do you teach someone how to write? How to analyze? How to interpret? But with numbers? Easy. Step by step. There was a pattern to discover. A direct path leading to the correct answer. And, I used to be a struggling math student. I knew, first hand, what it was like to sit in a classroom with numbers whizzing by and you have no idea how everyone else seems to know the answer. I knew how to struggle with a calculus problem that took pages to complete and three tries to get the right answer while your study partner got it right the first time and in 10 less steps. Math didn’t come easily to me but boy, was it fun! Every day a new puzzle. A new riddle to solve. 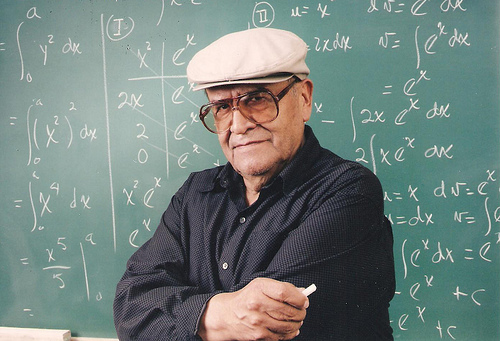 Jaime Escalante showed a bunch of kids, a random sampling of American high school students, that they were capable of being great math students. Each year that he taught AP Calculus at Garfield High, more and more students were inspired and passed the exam. They weren’t geniuses. It wasn’t luck. It was all because of a man with tenacity, knowledge and a pure love of teaching and his students. The students were inspired by his energy and drive. They were pumped up by his confidence in their abilities. They began to believe in themselves. And then they just went out and did it! An amazing teacher died last month. A passionate advocate. A brilliant role model.